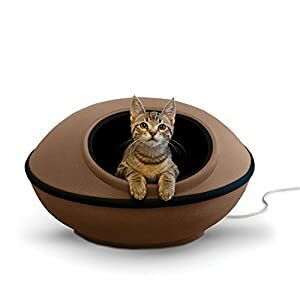 Best Heated Pet Bed Review: Top On The Market in 2019! 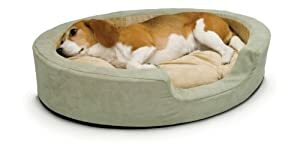 List of the Top Heated Pet Beds For Your Beloved Beasts Here: Comparison and Buyer’s Guide! As a pet owner, and as most pet owners will attest, pets require the same levels of comfort as their human owners. This means that if you live in a cold climate or its cold in winter, you want to make sure your pet has a warm place to rely on for extra comfort. 1. They provide heated comfort in cold climates or conditions. 2. They help aged pets that find it harder to move. Essentially, heated pet beds are not gimmicks; they are essential pieces of furniture that every pet owner must have in their home. 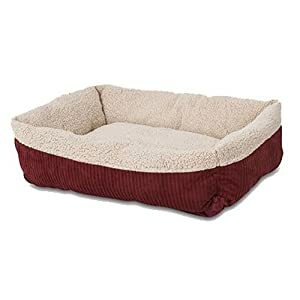 However, not every heated pet bed is safe, or of high quality. That is why I took the time to create this guide and review of the top heated pet beds. Don’t take a chance and buy the cheapest version you find, some of the Chinese models come with faulty circuitry, others with bad materials. Stick to buying from a reputable brand, and preferably those with good reviews. This is material only self-warming bed, which uses Mylar space technology for generating reflective body heat. The Aspen Pet Self-Warming Bed is lined with self-reflecting heat material that gives the same effect that a Mylar heat blanket provides. This totally safe bed is covered with wide wale corduroy fabric and faux lamb’s wool interior for absolute comfort. These models come with a non-skid bottom, so they will stay where they are meant to be. Bottom Line: This is a safe and friendly hands off warming bed that will suit any environment that requires extra heat for comfort. To be honest, the self-warming Mylar works a treat and I put one of these in the back of my SUV. So, imagine how great it is for travelling during fall and winter. Another great feature is that you can roll it up and take it with you when you travel. 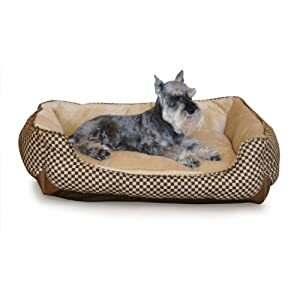 This model comes in a number of sizes, so just pick the size that best suits your pet, or pets and don’t even think about the price, its so economical its nuts. This is a dual-purpose bed, it comes with a removable heating element, so it can be sued in cold climates as well as in normal climates. So, if you live in New York, where the summers are hot and humid, and the winters are cold and harsh, this would be your best bet. The K&H Thermo-Kitty Beds has a dual thermostat 4-watt heater that will provide a surface heat of 10-15 degrees above ambient air temperature. The unit is removable for washing the bed, and the bed features a comfortable polyfill pillow for extra comfort. The hood is attachable by a zipper, so you can have it on or off. This unit is powered by 4 watts / Standard 120 volts and is MET listed. Take note that when you remove the zippered outer cover for cleaning, don’t wash the foam lining. The size of this model is 16” x 16” (or 20”) x 6. Bottom Line: My kid sister has three of these since she has three cats, and yes, they all know which one their personal bed is. Living all the way up in Novia Scotia makes a heated bed a must. I can say from personal experience, this one works wonders. Yes, you do pay a tad more for the electric versions but not so much that you have to think twice. If you own a pet you take on responsibility, and there is nothing more responsible than assuring your pets comfort. 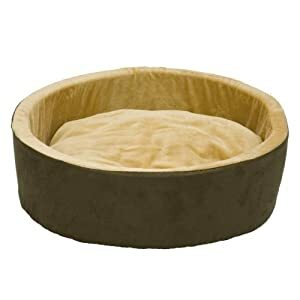 This is another great K&H Thermo-Kitty Bed model, this one is hood-free and comes with a fleece lined the interior with one piece poly filled pillow. This unit is powered by 4 watts / Standard 120 volts and is MET listed. Its heating element is the standard K&H Thermo-Kitty Bed unit that warms the surface to 10-15 degrees above ambient air temperature while the bed is empty. All are comfortable all-season beds. This cozy bed envelops your kitty in a bed of heated comfort with the heater on or remove heater easily when the weather is warmer. The size of this model is 16” x 16” x 6”. Bottom Line: This is an amazing bed, what I really liked about it was how it fit some pets like a glove. When it comes to straightforward comfort with no frills, sort of like a quick nap stop, then the Milliard Thermal Cat Mat is for you. This simple thermal core mat that uses Mylar reflective heat to reflect body heat without any electricity is a treat. Its washable (naturally) and it’s easy to place anywhere, even take it with you when you travel. 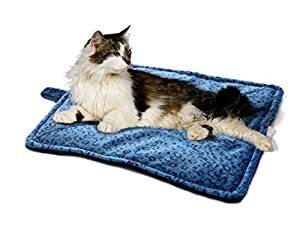 This lovely mat measures 21” x 17” and is so budget friendly; it would be a crime not owning one or even two and having them placed around the house and one in your car too. Bottom Line: this is a two-sided mat, it works n matter how you place it, and it’s a great addition to the home. I have two of these, one on the front porch and the other by the kitchen. I think I need more, for some reason there never seem to be enough of them. What can I say, I’m in love with K&H pet products because they really are the best on the market, This is the K&H Thermo-Kitty Fashion Splash bed that is another safe and comfortable model. The 18”D size powered by 4 watts / Standard 120 volts and is MET listed, and the 22”D model is powered by 7 watts / Standard 120 volts and is MET listed. While the unit is not heating, the fur is cool to the touch and provides a comfortable body heat experience. When heated the model generates 10-15 degrees above ambient air temperature when the bed is empty, so your pet will just slip into that warm comfort with extreme prejudice. 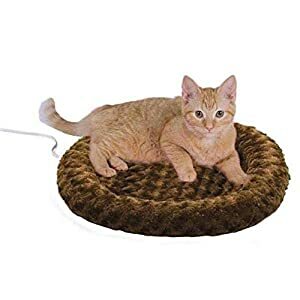 Bottom Line: This is a really comfortable heated bed, and this version is great for aged pets that might find it hard to climb into a higher walled model. Its K&H time again, and this time it’s their ultra-modern looking Mod Dream Pod. Now while we are all used to K&H plush models, this is no less plush even if it looks so refined. The Mod Dream Pod is based on an EVA material and has a strong 600D polyester fabric surface which makes for a very sturdy and reliable pod. This model comes with the standard K&H polyfill pillow and comes with two modes, heated and unheated. The main difference is that the heated model comes with the standard removable heating elements that are powered by 4 watts / Standard 120 volts and is MET listed. The interior is made of Lycra and provides that dark, warm, comfortable hideaway that so many of our lil pets love. Bottom Line: I have a some friends that wear by this model, I have seen them in action and yes, they are as good looking in real life as they are in the photo. Yes, Yes, you guessed it, it’s a K&H Thermo-Snuggly Sleeper. This is the K&H sleeper of style, where your pet will not want to move from, ever. This unit is powered by 6 watts / Standard 120 volts and is MET listed. The heating element warms the surface to 10-15 degrees above ambient air when the bed is empty. The size of this bed is great, it has 2″ thick foam walls, and they are 5″ high, and it comes with the standard K&H polyfill pillow for extra comfort. The material is washable, and the cover is removable with zipper fastening. This models dimension is 26″ X 20″ X 5 so its great for most small and medium-sized pets. Bottom Line: This is a great bed, I mean it, its plush and comfortable and it heats up a treat. Did you think that we finished with K&H? Nope, we have one greater K&H Self-Warming Lounge Sleeper model to present to you. This is a self-warming mat using the Mylar interior for reflecting body heat. The difference with this model is that incorporates two layers; the first layer captures the heat like an insulation layer and the second layer reflects it back to your pet. This reflective insulation generates perfect body warming properties that don’t cost a cent. Bottom Line: Be prepared for power outages, have at least one self-reflective unit at home, so your pet will always be warm, even when those crazy winter power cuts occur. If you are a caring owner, then you have to prepare for every eventuality, which means you will need more than one heating bed. In fact, you will need four to be precise. These four include two self-heating units, one for the home and one for the car. If you have leather upholstery, then this unit will protect your pet from those hot sunny leather seat days. If its freezing cold, then the self-heater unit will work wonders for your pet when traveling by car. You also want the car piece to be your travel piece too. At home, you want two electric units, one high for extra protection and a spare one in case the first one is in the wash or the power unit is not working (which can happen). Now that we know how many we want for optimum performance let’s look at the size and shape. If your pet is old, then you need low beds so that he/she can easily climb on and off the bed. If it’s a young or small pet, then you want an easy to access the bed, and that’s why K&H is our preferred model. These are simple designs, pieces of material knitted together providing a quick respite for your pet anywhere on a flat surface. They can be used indoors as well as outdoors and are perfect for traveling. Mats are also a great solution when you are washing a bed; some mats are designed with reflective heat elements, these are non-electrical mats, which are safe and generate heat reflected by the mats material and the pet’s body heat. These self-heating mats are perfect for colder climates especially when there are power cuts. Hammocks are hung beds, so they are elevated and usually made of a single sheet of material. They are great for young and healthy animals, not suitable for older pets at all. These solutions are best found in hotter climates where total body ventilation is a sought-after comfort. In most cases, a hammock is made of natural fibers, easy to wash and not expensive, so you can replace them on a frequent basis. A lose fill bed more of a large plush pillow. Made out of a polyester material, these beds are usually more budget-friendly and fitting for warmer climates. 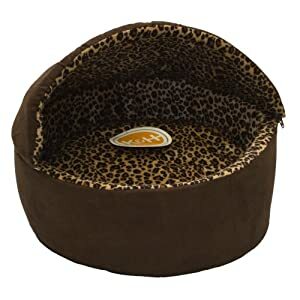 Their airy softness is great for most pets; these are also great for the older ones suffering from arthritis who will find their plush warmth and softness great for long snoozes. In many cases, these come as an outer fabric, and you can fill them up with whatever material you like, such as foam, cotton, or any other pillow filler you can pick up at the local DIY store. This is the top-level bed, they can come as basic models with no heating elements, or with reflective heating interiors and finally with electricity sourced heating elements. Prices do vary based on the quality of materials and finish, however, you can get some really great models that provide a perfect environment for any pet. In general, the rule of thumb is a heated unit is good for colder climates; a reflective heating unit is perfect for colder climates especially when there is a power cut, or if you are concerned about pet safety or electricity costs. Some of the more expensive models come with memory foam, and most will come with some plush interior pillow. All of them must come with a removable zipper interior so you can wash the cover. High-Quality and Affordable Outdoor Cat Houses Here: Comparison and Buyer’s Guide! Comprehensive List of the Dog Backpack Carriers Here: Comparison and Buyer’s Guide!